Last week the 37th Annual International Reggae and World Music Awards (IRAWMA) which will be held at the Pegasus Hotel in New Kingston, Jamaica on May 11, was launched in recognition of Reggae 50, celebrating fifty years of reggae music. “It is not just to honor the best of 2018” stated Founder and President of IRAWMA, Ephraim Martin at the launch. “But to salute and honor some of reggae’s foundation members, who are still making a difference in the world of reggae from 1968 to present. This year we had an overwhelming amount of nominations which is a testimony to not only the need for Artistes to be recognized for their work but is evidence of the amount of excellent Reggae and world music makers in Jamaica and around the globe”. Shaggy, Sean Paul and Koffee, lead this year’s nominations along with other entertainers including Beres Hammond, Etana, Shatta Wale, Beenie Man, Chronixx, Damion Marley and Vybz Kartel, Popcaan, Damian Marley, Capleton, Aidonia, Masicka, Spice, Morgan Heritage and more than 150 other reggae and world music nominees. Established in 1982 to acknowledge and honor the accomplishments and contributions of reggae and world music artists, including: songwriters, performers, promoters and musicians, the IRAWMA has been staged in many major cities including Atlanta, Chicago, Fort Lauderdale, Miami, New Orleans, New York as well as Port of Spain, Trinidad and both Montego Bay and Ocho Rios in Jamaica. The 37th staging confirms Martin International’s commitment to promoting greater participation and acceptance of Reggae, Caribbean and World Music, Internationally and will award 161 nominees in 41 categories and 9 special awards including the Bob Marley Award for Entertainer of the Year, Best Crossover Song, Mutabaruka Award for Best Poet/Spoken Word entertainer and the coveted Martin’s International/IRAWMA Award of Honor. Sponsored by the Ministry of Culture, Gender, Entertainment and Sport, IRIE FM, Jamaica Pegasus Hotel, VP Records, Onstage TV, IrieJam 360, International Festival of Life, Jsvfest.com, Trade Works, 25th Century Radio, Down Marie & Wiz- WAVS AM, African Spectrum & Rockers Jamaica. 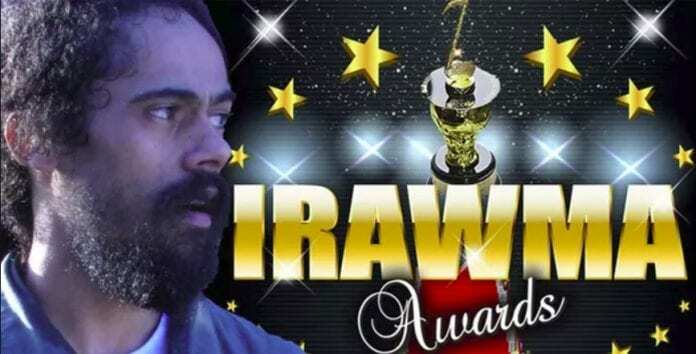 For the full list of nominees and to vote, visit IRAWMA.